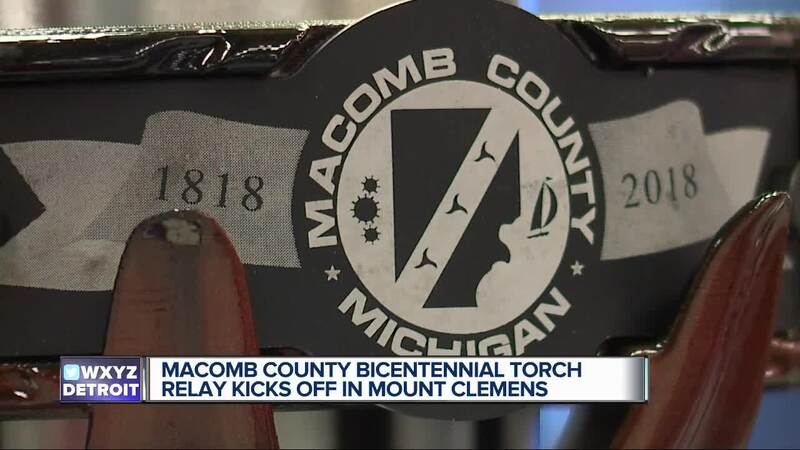 In less than 24 hours, Macomb County will host a 200-mile torch relay in celebration of its bicentennial year. Runners will travel through 27 county communities over the course of 40 hours. The relay kicks off in downtown Mount Clemons at 5:40 a.m. on Thursday, June 21, and will end on Friday, June 22. The two-day event will span all county communities, Lake St. Clair and Stony Creek Metropark, Selfridge Air National Guard Base and Macomb Community College, according to the Macomb County Bicentennial website. 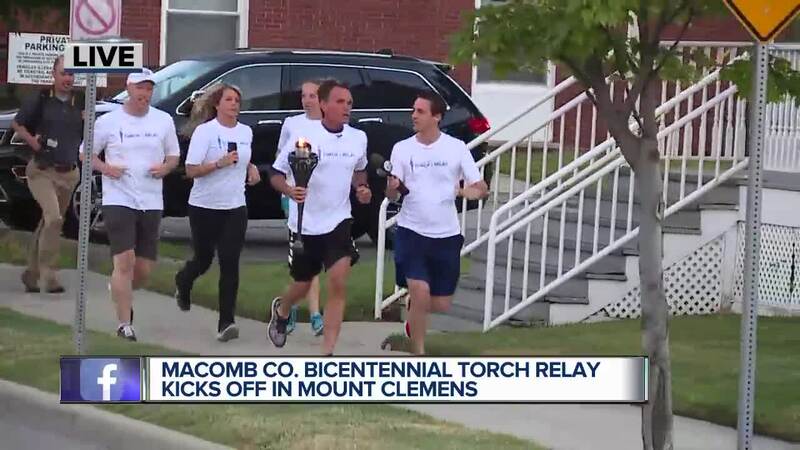 The torches – which were designed by Macomb Community College faculty, staff and students from the media & communication arts, machining and climate control programs – will be carried by 200 runners. For more information, visit the Macomb County Bicentennial website here . To view an interactive relay map that includes the names of runners, click here . Mt. Clemens at 5:40 a.m.; Harrison Township at 6:22 a.m.; Lake St. Clair Metropark at 7:05 a.m.; Selfridge Air National Guard Base at 8:04 a.m.; Chesterfield Township at 9:07 a.m.; New Baltimore at 10:19 a.m.; New Haven Village at 11:19 a.m.; Macomb Township at 3:40 p.m.; Ray Township at 5:06 p.m.; Lenox Township at 7:47 p.m.; Richmond at 8:18 p.m.; Richmond Township at 9:07 p.m.; Memphis at 9:38 p.m.; Armada Village at 11:47 p.m.; Armada Township at 11:48 p.m.
Bruce Township at 2:56 a.m.; Romeo at 3:05 a.m.; Washington Township at 6:31 a.m.; Stony Creek Metropark at 7:22 a.m.; Shelby Township at 9:56 a.m.; Utica at 11:46 a.m.; Sterling Heights at 12:31 p.m.; Warren at 1:54 p.m.; Center Line at 2:43 p.m.; Eastpointe at 3:42 p.m.; Lake Township at 4:53 p.m.; St. Clair Shores at 5:34 p.m.; Roseville at 6:16 p.m.; Macomb County Community College at 6:56 p.m.; Fraser at 7:44 p.m.; Clinton Township at 8:54 p.m.; Downtown Mount Clemens Fireworks at 9:45 p.m.